Crochet these little amigurumi hearts yourself. 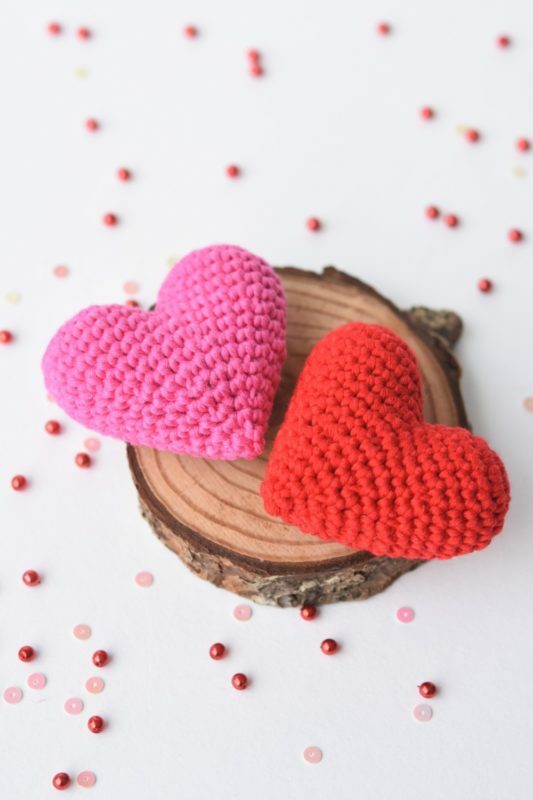 They are suitable as a gift on Valentine`s Day or if you wish to share a special message. 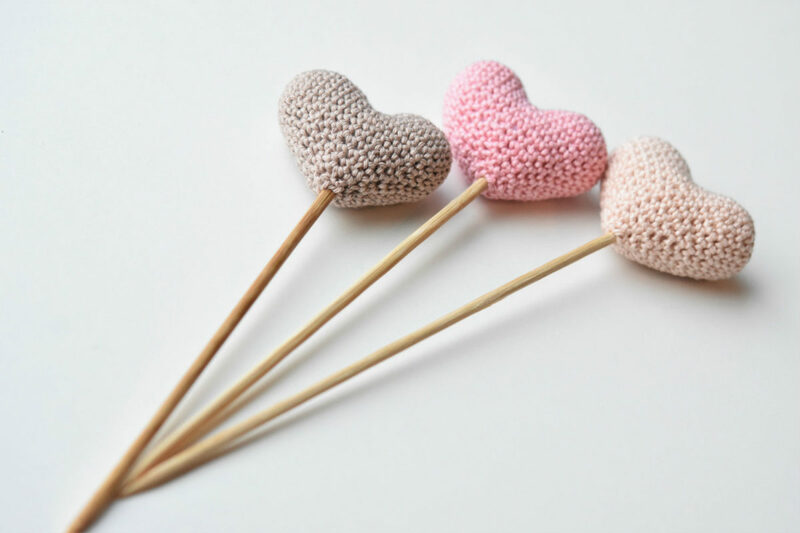 The hearts can be put on a wooden stick as well (find free tutorial here). You can purchase an inexpensive pattern with photos to guide you through the process here. Cut the yarn leaving a short tail for sewing. Make another piece just like the previous one by repeating rounds 1-5. Do not cut the yarn as we will continue using the yarn of the second piece. 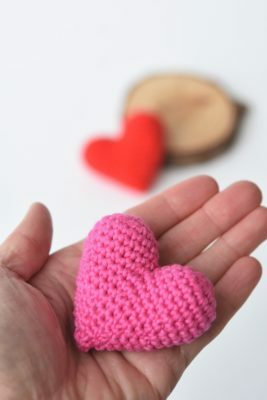 6: Crochet the pieces together. Work 9 sc on the second piece, 18 sc around the first piece and again 9 sc on the second piece . Sew the hole between the two pieces closed. 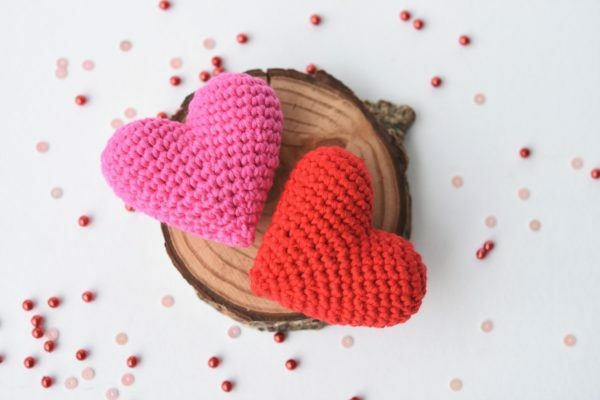 Fill the heart with fiberfill. Add a bit of stuffing after the next rounds as well. Cut the yarn leaving a tail for closing the piece. Weave the threaded needle through the front loops of all remaining stitches and pull tightly to close. NB! 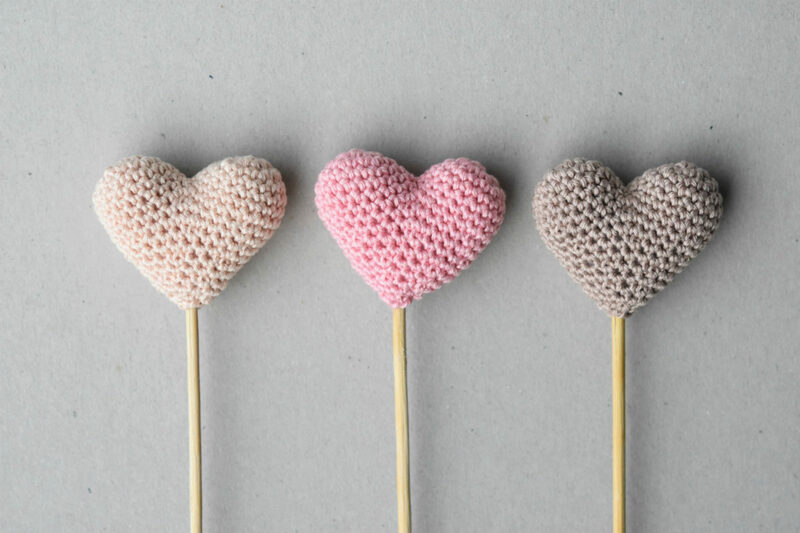 Click here if you want to put your heart on a stick.